focusing on your talents and passions. 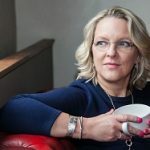 My guest, Sarah J Naylor, has over 30 years of experience working within recruitment and, since 2012, has also been combining running a successful recruitment practice as well as her own coaching practice. To offer more people support and guidance in getting their career on track, she wrote ‘Shining a Light on You – How to Manifest Your Dream Job’, a book that helps the reader to gain a deeper understanding of their authentic self and the elements that they are attracted to in a job so that they can live their life with more purpose and meaning. Join us if getting the right next career move is important or share and help anyone in your network who is on that journey right now! Sarah J Naylor, a highly energetic and enthusiastic coach, author businesswoman, entrepreneur and speaker. Sarah has over 30 years of experience working within recruitment and since 2012 has been running her own coaching practice. She loves supporting people to lead a healthier and more fulfilled life. By drawing upon the experience of running two successful businesses, navigating her own personal journey of self-discovery and embracing her deep sense of spirituality, she is now well placed to provide the catalyst of inspiration to those who work with her that leads to greater satisfaction and happiness in both their work and other areas of life. To offer more people support and guidance in getting their career on track, she wrote Shining a Light on You – How to Manifest Your Dream Job, a book that helps the reader to gain a deeper understanding of their authentic self and the elements that they are attracted to in a job so that they can live their life with purpose and meaning.